Torri Tjensvold who has one of Dianas boys ( Wyatt below) also got our Cairo all fluffed and buffed up for us to see (above). Geesh she is just a big ole butterball and as sweet as ever. I really miss that girl so much. She is one of our Meg kids. Above as I mentioned is “Kipling” who is closely related to all of the above as well as the Martha Stewart litter in the last blog entry (via Vincent). He just turned one year and is such a high spirited boy who reminds me a lot of Vincent at this age. I can’t wait to see how he matures in another 6 months. 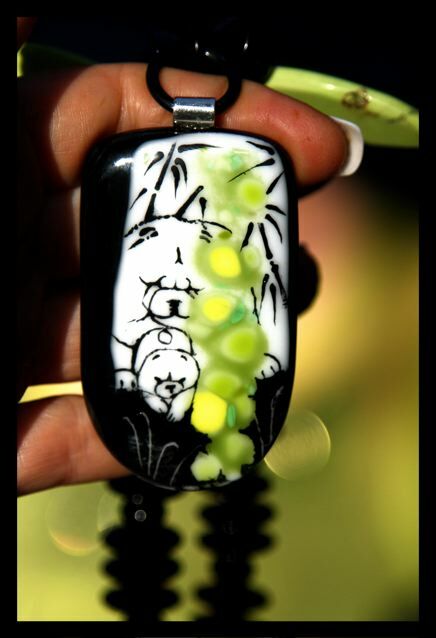 Here is a preview of one of the Chow designs to come after I return from Thailand. I have a number of pieces close to ready that will be available the first part of October!!!! And finally some stunning sunflowers covered with bees in Rebeccas garden! Thanks for the fun day Rebecca and Torri. The kids looked awesome!! hahahaha….i can just hear steve crooning (or cooing). that is so cute!!!! oh wow..Cairo was one of my faves in that litterl. she has a gorgeous head and expression and i remember her as being kinda hefty. Kipling looks quite the gentleman with such an expressive and inquisitive face and such nice leg!!!!! 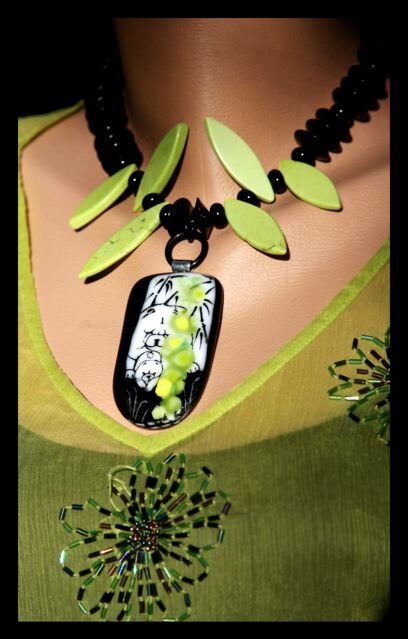 and what a wild and beautiful necklace….the design is so cool i can see how you can wear it a few ways and the colors are delicious fun fun pics as always!! great shot of that sunflower from the side………a unique perseptice and its so brilliant!! !